Home › Electronics › Ipad Air 2 Case (Ipad 6) - Khomo Dual Super Slim Orange Cover With With See T..
Ipad Air 2 Case (Ipad 6) - Khomo Dual Super Slim Orange Cover With With See T.. 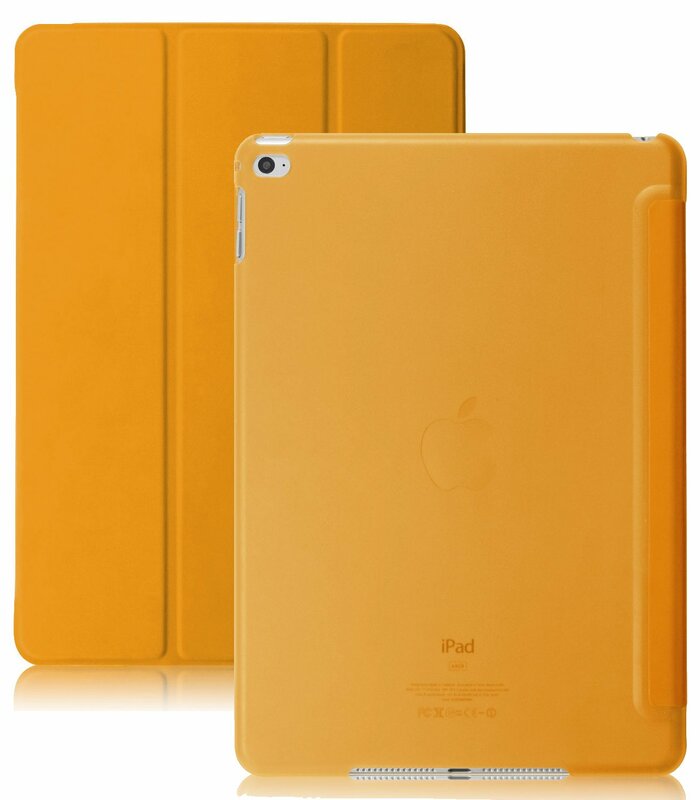 Size: iPad Air 2 | Color: Orange See Through KHOMO DUAL Case KHOMO Introduces its best seller case for Apple iPad Air 2. The new KHOMO DUALCase is the perfect choice for those who want a stylish and affordable way toprotect their tablet. This case uses a Polyurethane FRONT cover PLUS it also has a hard rubberizedpoly-carbonate BACK Protector. This case is ULTRA SLIM and is thin enough tomatch the thinness of the iPad. Not only does the case offer your Apple iPad great protection (from dust,scratches, oil, fingerprint, small impacts etc), it also offers you two waysto stand up your apple iPad This case is chic, light weight and low-profile, and it does not add any bulkto the Apple iPad . Warranty 2 Year KHOMO Warranty with quick and easy KHOMO service. Check out the KHOMO Accessories Collection Known as the mobile & tablets accessories experts, KHOMO takes pride inproducing high quality, innovative designs that enhance and protect yourvaluable devices. Protect what you love with KHOMO top of the lineaccessories.